Our Grande Finale Weekend will be busy with a whole host of activities going on around the railway including a re-opening ceremony recreating the original re-opening of the line by Dr Beeching in May 1969, it will be held at Buckfastleigh Station at 2.00p.m. on Saturday. You can see view our Time Table for the Grande Finale Weekend below or you can download a copy of the Saturday Public Time Table here or the Sunday Public Time Table here. You can find our Working Time Tables here. a.m. a.m. a.m. a.m. p.m. p.m.
a.m. a.m. p.m. p.m. p.m.
p.m. p.m. p.m. p.m. p.m.
p.m. p.m. p.m. p.m. p.m. p.m. p.m.
a.m. a.m. a.m. p.m. p.m. p.m. p.m.
a.m. a.m. a.m. p.m. p.m.
p.m. p.m. p.m. p.m. p.m. p.m.
Friday of our Golden Anniversary Gala will be ‘Auto Day’ a day of Auto Trains, once a staple of branch lines such as ours. There will be a four coach auto train, two two coach autos and, in what we believe is a first in preservation, four single coach auto trains operating at the same time! You can see view our Time Table for Auto Day below or you can download a copy of the Public Time Table here. a.m. a.m. p.m. p.m. p.m. p.m. p.m.
We are pleased to announce another locomotive for our Golden Anniversary celebrations. Great Western Railway 0-6-0 Pannier tank number 1501 will be joining our celebrations between the 6th and 14th April. The locomotive is appearing courtesy of the 1501 Pannier Tank Association and the Severn Valley Railway. This will be 1501’s first visit to the South Devon Railway and we are looking forward to meeting her. We are very pleased to announce that Andrew Barclay 0-4-0 No 1219 will be joining us for our 50th anniversary celebrations between the 6th April and 14th April 2019. The locomotive is appearing courtesy of Ryan Pope, Andrew Barclay Restoration Group. 1219 will be performing the role of station pilot at Buckfastleigh during our nine day gala. On certain days 1219 will also haul a Brake Van Special to Totnes and back. 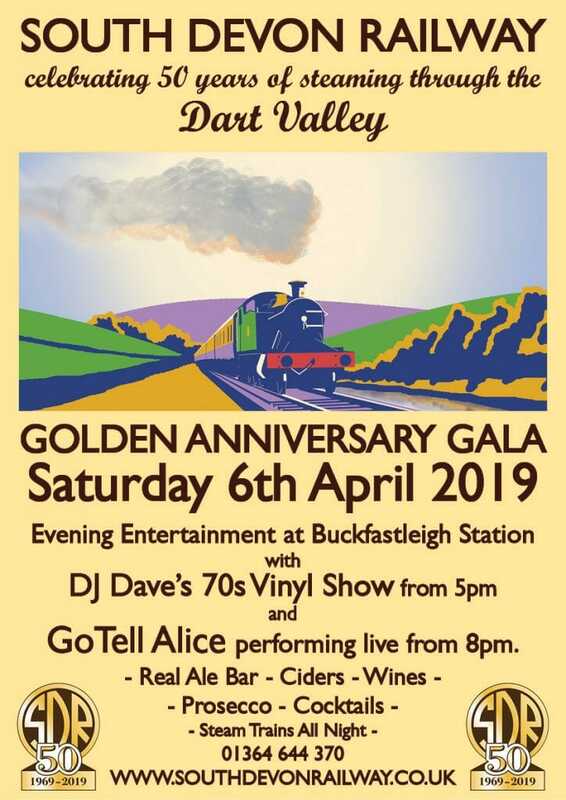 Monday to Thursday of our Golden Anniversary Gala sees different themed days with a variety of different branch line trains. You can see view our Time Table for Monday to Thursday below or you can download a copy of the Public Time Table here. You can download our Working Time Tables here. a.m. a.m. p.m. p.m. p.m. p.m. p.m. p.m.
a.m. a.m. p.m. p.m. p.m. p.m. p.m. p.m. p.m.
*The 5.20pm departure and 6.10pm return working from Totnes, marked in bold above, only runs on Wednesday and Thursday and will be diesel hauled. 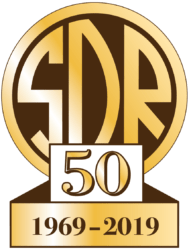 The opening weekend of our Golden Anniversary Gala is going to be an exciting one for us; with trains running non-stop from early Saturday morning right the way through to Sunday evening, a first for the SDR! You can see view our Time Table for the weekend below or you can download a copy of the Public Time Table for Saturday here and Sunday here. a.m. a.m. a.m. a.m. p.m. p.m. p.m.
p.m. p.m. p.m. p.m. p.m. p.m. p.m. p.m.
a.m. a.m. a.m. a.m. a.m. a.m. a.m. a.m.
a.m. p.m. p.m. p.m. p.m. p.m. p.m.
a.m. p.m. p.m. p.m. p.m. p.m. p.m. p.m.
Wednesday 10th April – departing Buckfastleigh at 12.15. There is also a Breakfast Special on Sunday 7th see here for more details. * Dining guests will require a valid train ticket. Supreme of Free Range Chicken filled with Local Sharpham Brie and wrapped in Loddiswell Bacon served with a rich Red Wine and Red Berry Jus. All the above served with New Potatoes and Seasonal Greens. non-alcoholic drinks, please place your drinks order with the Restaurant Car Steward. Fancy a more exclusive view of our home & visiting locomotive fleet? We are holding three Photography Experiences departing Buckfastleigh at 08:30am for a single trip to Totnes stopping at a few exclusive locations on route for you to disembark to witness the sights and sounds of the steam locomotive passing through the Devonshire countryside. Each day has different a steam locomotive and rolling stock to give you a variety of what we have to offer for our 50th Anniversary week! Each of our morning Photography Experiences are limited to 30 places, are priced at £35 per person and include an all-day ticket for travel on that day. You can purchase your Photograph Experience here. Monday 8th April – Our morning kicks off our resident prairie tank 5526 in ‘Great Western’ green livery paired with a short Great Western Railway (GWR) Branch line train. This one will hark back to the 1930’s where the Ashburton branch used to work one or two GWR Collett coaches to transport people to Totnes and beyond. It was also common for a milk tank or fruit van to be placed on the train to help farmers get local produce to markets. Tuesday 9th April – sees visiting engine 1450 in GWR green livery coupled with two original Great Western Railway auto coaches perfect for re-enacting a scene from the 1930’s. Ideally suited for branch line use, these coaches were designed so the steam locomotive can be driven from one end of the coaches via special linkages. We believe this is the first time two original GWR auto coaches have operated together for a number of years. Wednesday 10th April – moves us to the 1950’s when the Great Western Railway became part of British Railways (BR). This sees visiting pannier tank 9466 in BR Black early crest livery coupled with four of our carmine and cream liveried coaches. 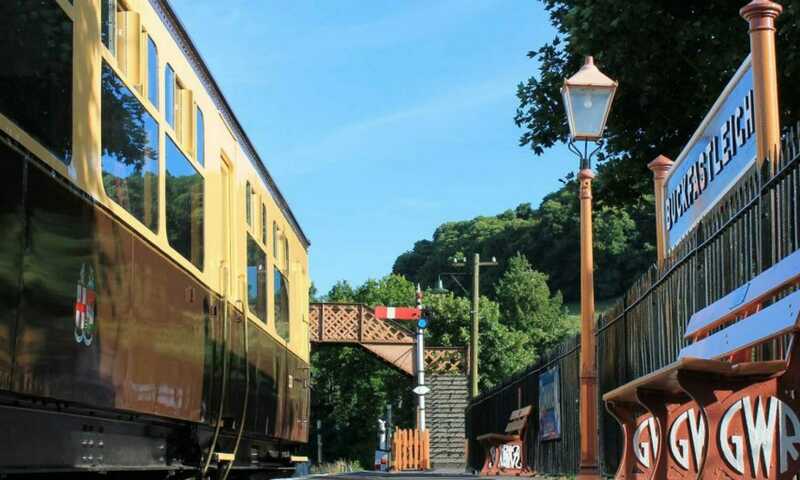 On Sunday 7th April, we are pleased to announce a special Breakfast train departing Buckfastleigh at approximately 09:30 for a return trip to Totnes Riverside. We will be offering a Full English Breakfast served at your seat along with a tea or coffee, orange juice and a selection pastries. This is a first come first served basis and is limited to 40 spaces. Please note that the formation of seating on the train is fixed and comprises seats in groups of 2 or 4 around a table. You may be seated with other diners. Your on train breakfast will cost £12.00 per person and you can purchase yours here. You will need a valid train travel ticket for this service.